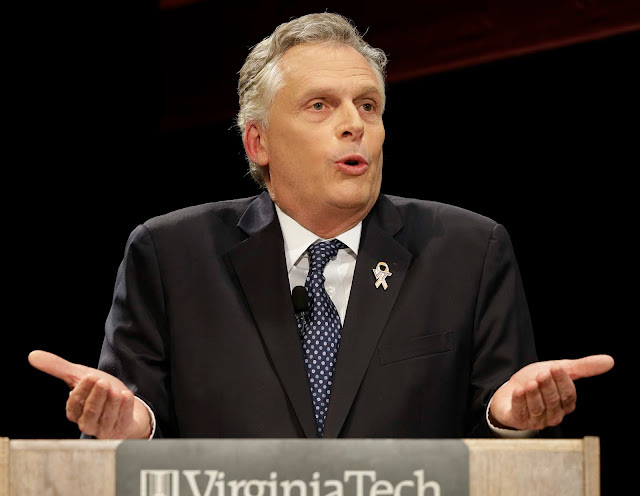 Heading into the 2017 elections, Virginia was one of 18 states under divided government, with Democrats in control of the governorship and Republicans in control of the legislature. In most statewide elections leading up to the November 2017 elections, Virginia proved to be a battleground state, meaning electoral competition between Democrats and Republicans was more intense than in other states, and the outcomes of elections were often difficult to predict. Democrats won 15 Republican-held seats in the November 2017 elections, the biggest electoral shift toward the Democrats since 1899. Fourteen of the 15 victories came in districts that Hillary Clinton (D) won in the 2016 presidential election. Unofficial recount results on December 19 showed Shelly Simonds (D) winning the District 94 race by one vote. Delegate David Yancey (R) held a 10-vote lead heading into the recount. On December 20, a panel of judges found that a previously disqualified ballot should have counted for Yancey, resulting in a tied race. Click here to see an image of the ballot that was counted for Yancey. According to Virginia law, the winner of a tied race is determined by lot, which means a random chance event such as a coin flip or drawing straws. Delegate David Yancey (R) won the random drawing on January 4, 2018. Simonds indicated on January 3 that she might ask for a recount if she lost the drawing. After the drawing Simonds said, "At this moment, I am not conceding." On January 10, Simonds conceded the race to Yancey. Of course, there were no illegal votes for control of Virginia's Senate. or House. Right? ...there were no illegal votes for control of Virginia's Senate. or House. Right? Yeah right, that's why Dem held precincts didn't get their results in until hours after polls closed. They had to be sure all the no-shows and dead people voted Dem. That takes a while when you only have 6 or 8 peeps in a back room casting a thousand votes. That's why we photo ID laws and a law that makes it mandatory for ballot boxes to be treated like nukes, with a requirement for there never to be less than two people alone with a ballot box, at least one from each party.